Iterate iOS Icons with AppCooker. The Icon is the face of your application, which makes it a primary marketing asset. Creating great Icons requires to experiment and iterate until the ideal fit is found. Use the freehand tool, vector shapes or images to try out the look and feel of your Icon ideas in no time, and see the results in different sizes. You have access to the same tools as when you create a Mockup. Each icon is displayed in the various sizes needed for the App Store or for the device. It’s particulary useful for comparing in a glance how your different icons look and feel in all of their versions so you can decide to go for this one instead of that. AppCooker presents the icon in a beautiful way so you can see what they look like in various sizes. It will help you to decide wich one to use, regarding their readability. Remember that on the AppStore, the icon is the first thing users will see, it’s a key factor of success. 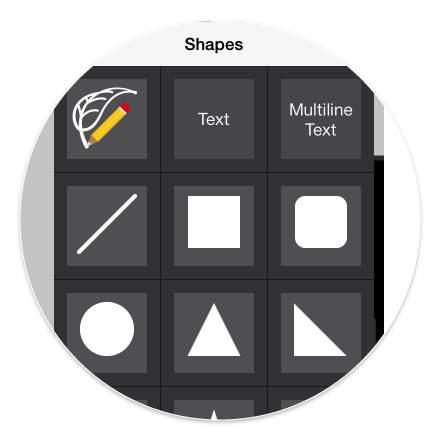 AppCooker ships with the main and most common graphic tools to get you productive instantly. Using them is straightforward and pleasant for anyone with a little experience in creative applications on the iPad. Free your mind, make yourself comfortable in your couch and start creating the next big success of the App Store with the tip of your fingers. Anyone can achieve great results in minutes. 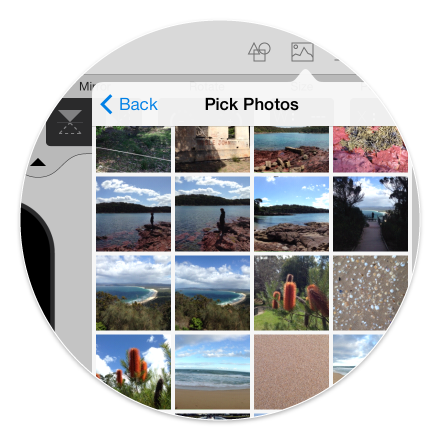 Import images from your photo library or from Box or Dropbox. AppCooker let’s you crop any image, add corner radius and optimize file size if you it multiple times. One of the simplest solution to create great mockup from your favorite design App. Adjust, crop, give corner radius and change alpha to create great looking mockups. 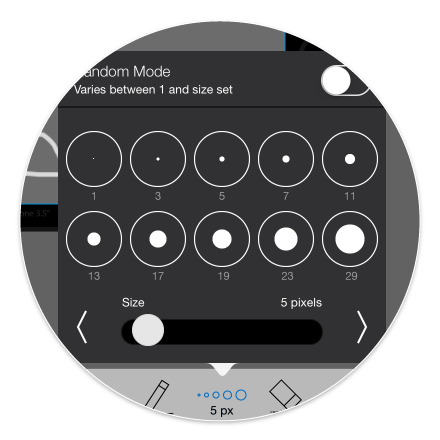 All of them, except the line and text, have a corner radius you can set precisely. You can choose a plain color or create gradients that fit your needs. Because they are vectors, the result will always be pixel perfect, whatever the size. Shapes can also have different stroke aspects and width to create almost anything you want. 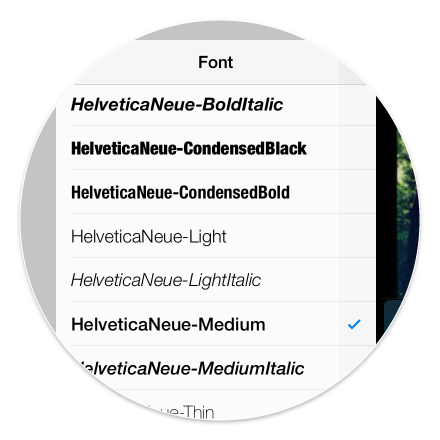 Use the 200+ available typeface to refine the experience of your next App. All those fonts are available in the system, it means that if you use it in AppCooker, the developer will have access to it for free. The hand drawing tool brings the Mockup editor to the next level. Create a box, double tap on it and draw inside. The drawing is transformed as an object you can move and duplicate. Unleash your creativity. 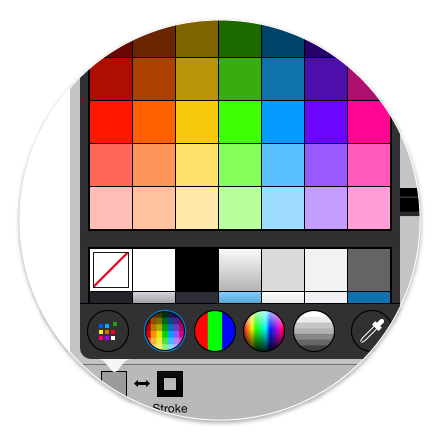 AppCooker gives you access to a full featured colour editor to change and set precisely the colours of UI Elements, vector shapes, texts, bitmap drawing and shadows. It will come very handy at some point.